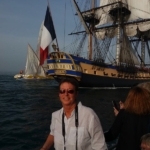 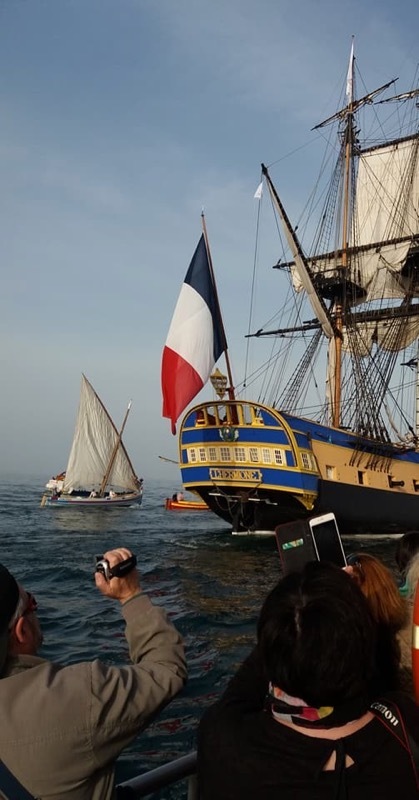 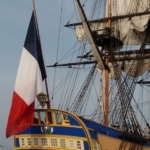 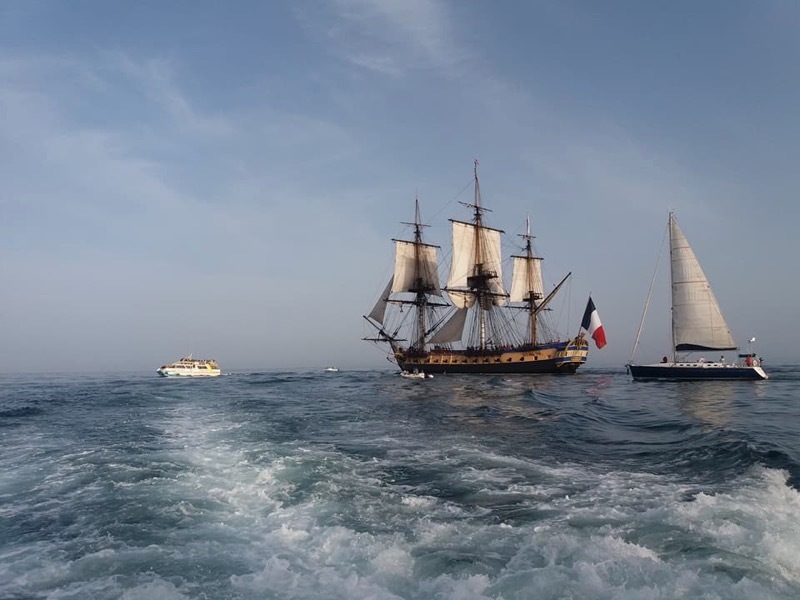 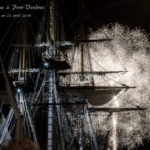 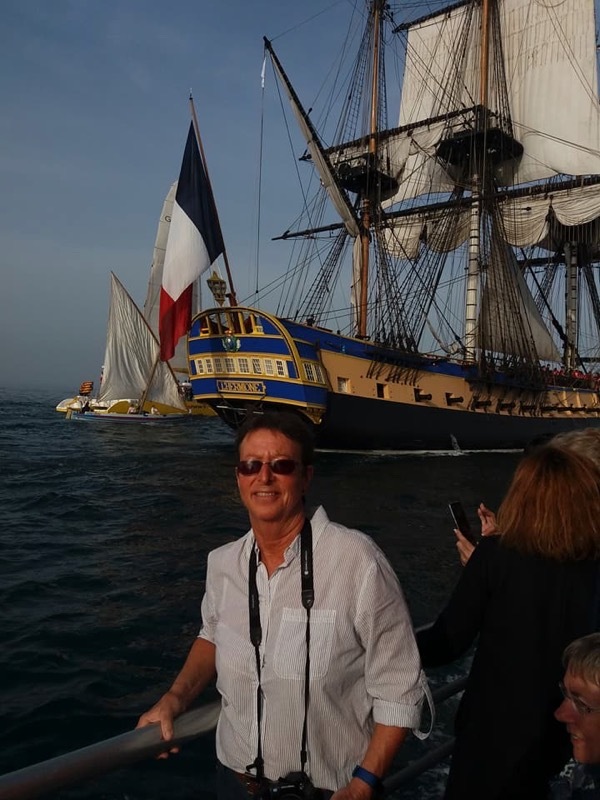 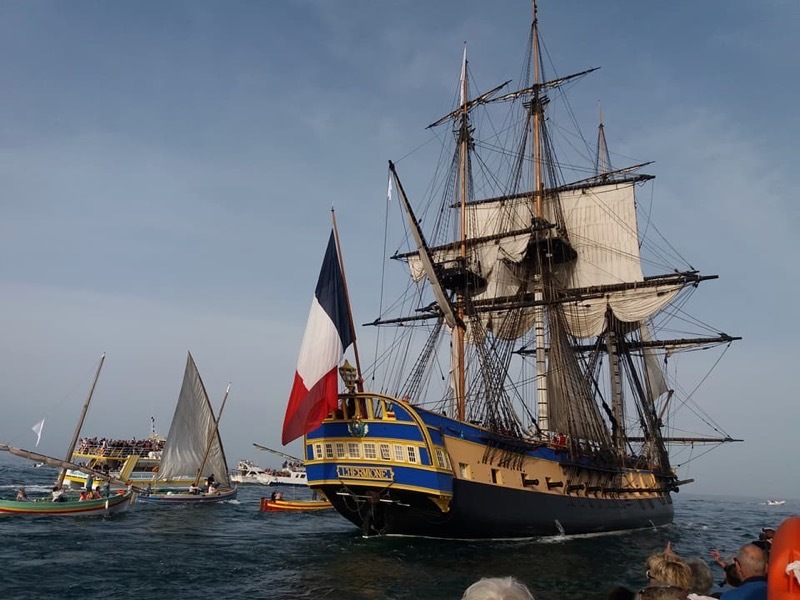 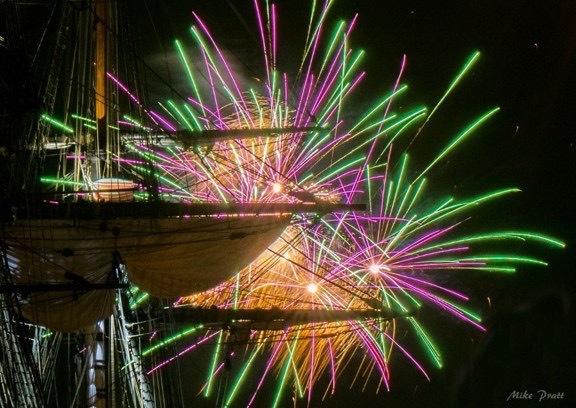 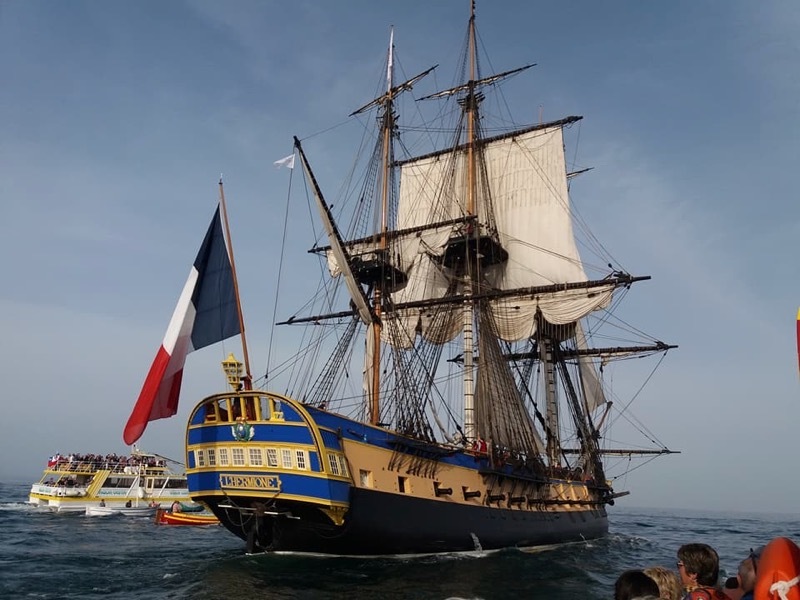 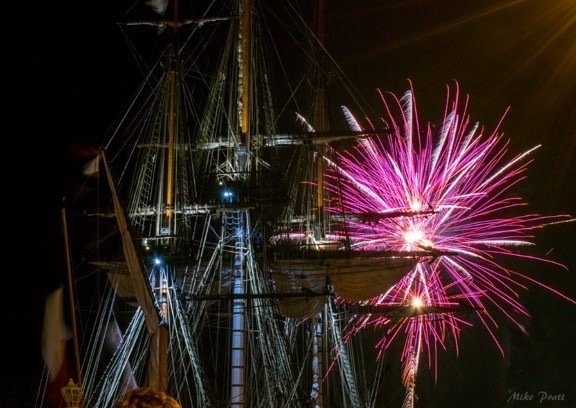 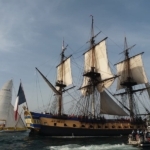 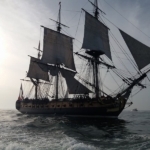 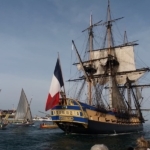 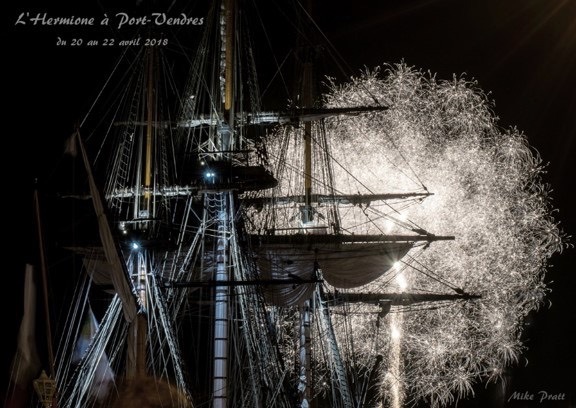 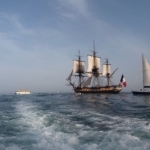 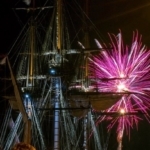 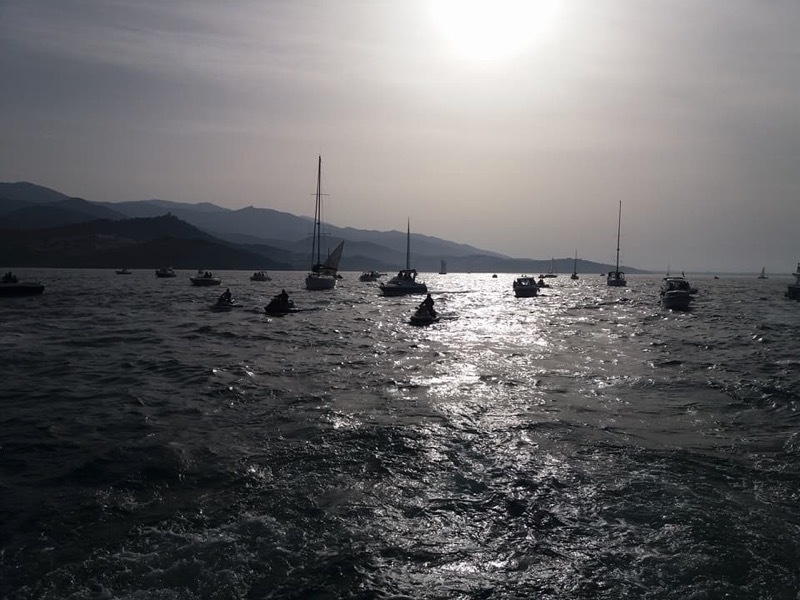 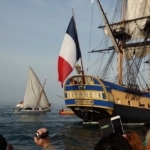 The replica French War Ship “Hermione” sailed into Port Vendres on the 20th April 2018 in a rare presentation for the public. 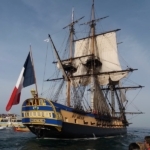 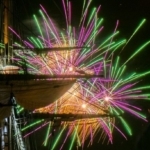 The historic ship measures 80m long and a little over 10m wide. 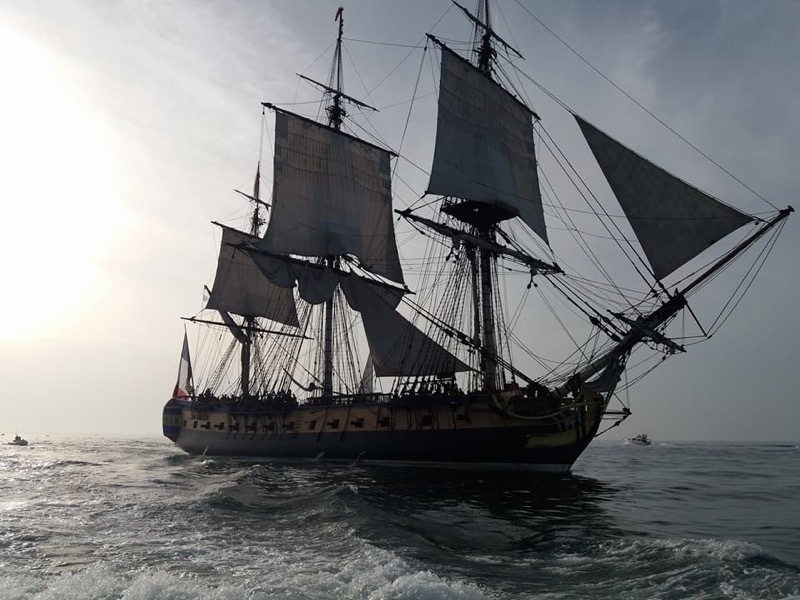 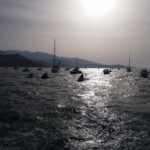 She can host a crew of more than 90 mariners. 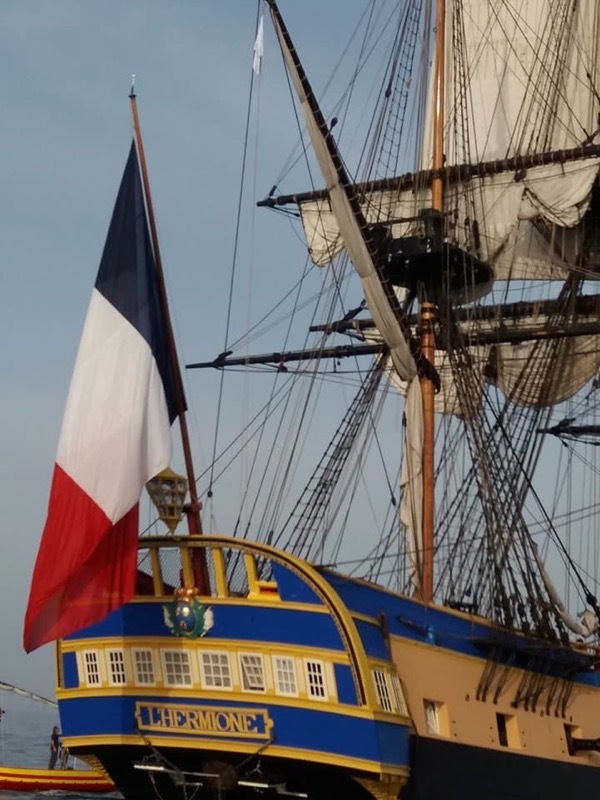 Equipped with 26 canons, the original vessel was in service from 1779 to 1793 as part of the Concorde fleet constructed in 1777 by Rochefort. 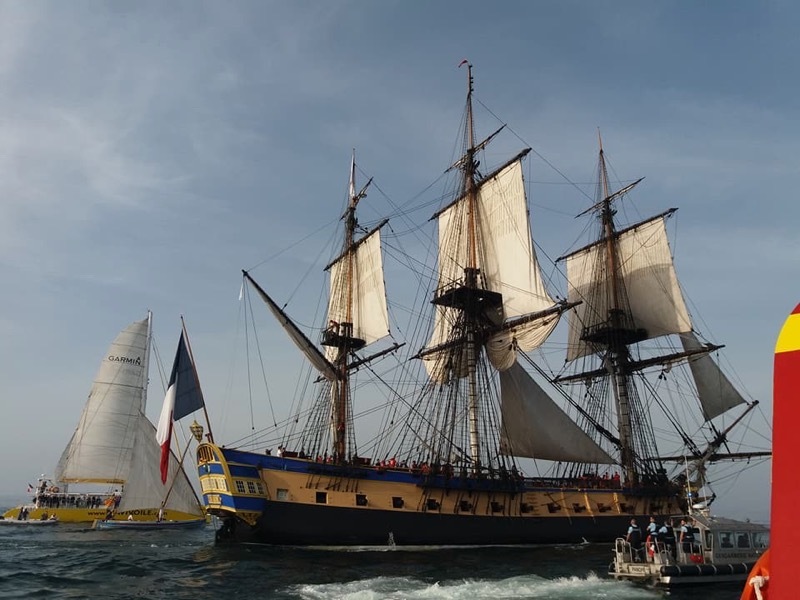 She famously carried the Marquis de La Fayette to America in 1780, where he joined George Washington in their fight for independence.